As health care costs continue to rise, it can be discouraging to know that you are going to have to go in for a procedure. This is especially true when a hospital stay is involved. Once you see that total bill, your stomach will probably sink right to your toes. And that’s for people who have health insurance to help take care of costs. Before you pay the bill, though, it makes sense to take a step back and evaluate the situation. It’s long been known that medical billing errors are fairly common, with somewhere between 30 percent and 40 percent of bills likely to contain errors. And, in truth, some estimates say that up to 80 percent of medical bills contain errors. 1. Is the Bill Itemized? Many health care providers simply send a bill with the final total listed. However, without being able to look through the individual charges, it’s impossible to know if you are being over-charged. Request a comprehensive, itemized bill. Health care providers are supposed to provide them on request. Comb through the bill to make sure it’s accurate, and if you have questions, ask them. You might be surprised to find that you owe less than you thought. 2. 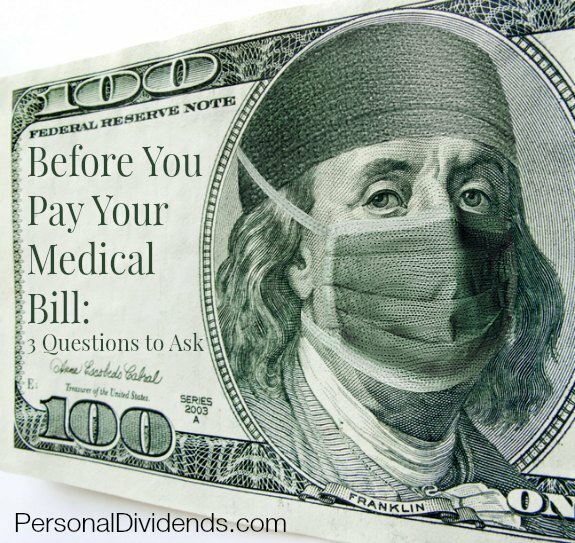 Does the Bill Match Your EOB? Next, compare your bill to the explanation of benefits (EOB) you should get from your health insurance provider. You should get an EOB delivered by mail, or electronically, soon after receiving your care. This EOB describes what the health insurance company is responsible for, and what you are responsible for. Compare the two to see if mistakes in coverage are costing you a little extra on your end. Make sure that your coverage and the bill match up. Sometimes, you might be charged as if you are using an out-of-network provider, even if you got in-network care. Compare your bill to your insurance policy and EOB to make sure you are getting the full amount you should. Don’t forget to check into payment options before you start paying your bill. If you have a financial hardship, you might be able to qualify for a payment plan from the health care provider. In some cases, this might even be interest-free. You can also find out if there is a discount for some services if you decide to stay away from insurance billing. Run the numbers to see what is likely to work best for you. You might be surprised to find that you can put together a manageable payment plan, just by asking about your options.